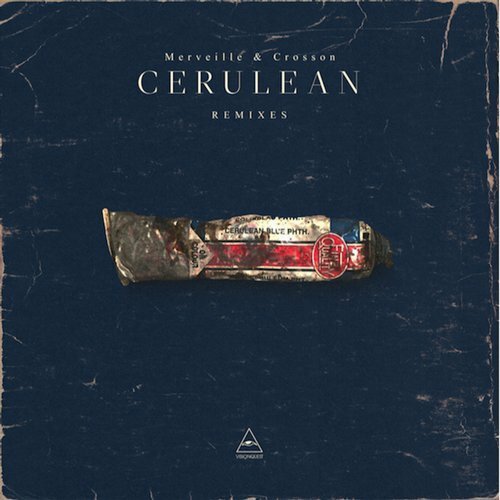 2017 saw Cesar Merveille & Ryan Crosson deliver their second long player in the shape of ‘Cerulean’, drawing on their modern classical, jazz, ambient and abstract influences to create yet another unique listen featuring collaborations with a classical pianist, trumpet, guitar and double bass players. Here we see those original parts eschewed into something entirely fresh from friends and close associates of the duo. Leading on the release is Cadenza boss Luciano’s ‘Sous Le Sol’ interpretation of ‘ARP’, which twists and turns through the hypnotic chimes and emotive piano chords of the original whilst stirring in Lucien’s signature modulating and intricately evolving rhythmic style. Following is a collaborative rework from New York’s Phil Moffa and Seth Troxler which employs ethereal synth drones and stuttering vocal cuts alongside a bumpy percussive drive and pulsating subs. Perlon’s Bruno Pronsato steps up next to remix ‘Even Tides’, delivering his typically raw and emotive style via glitched out, mind-bending percussion, elongated bass drones and cleverly reshaped cuts of the original’s cinematic elements. L.A’s Clovis then closes the package with his remix of ‘Nordic Bummers’, employing shuffled hats, lumpy subs and crunchy claps at it’s core whilst horn swells and aiy atmospherics ebb and flow throughout.